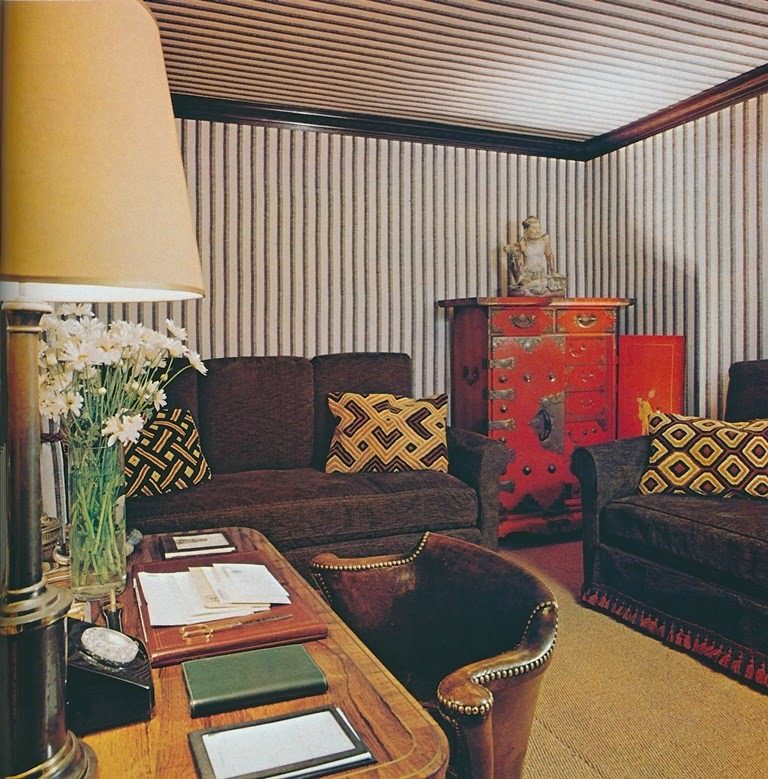 2015 is shaping up to be the year of Angelo Donghia, whose memory seems to loom large these days thanks to the current vogue for Seventies Style. 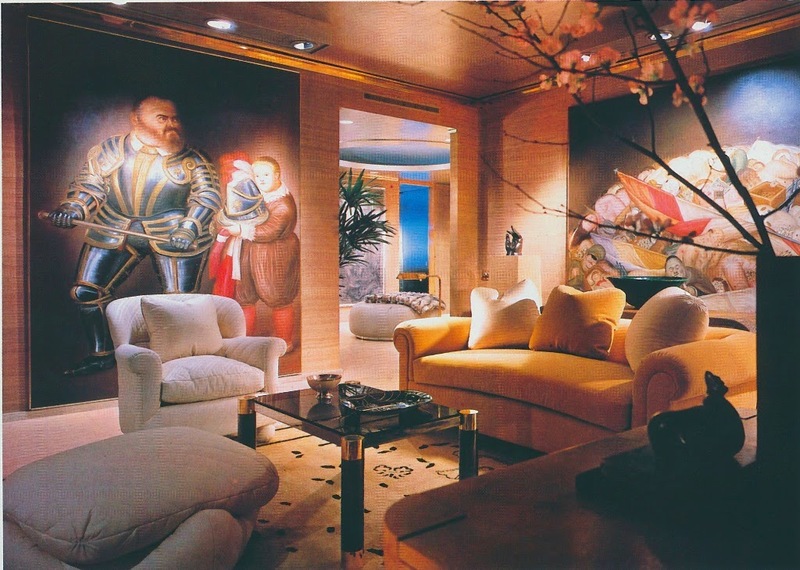 During the 1970s, Donghia was one of this country's most high-profile designers, whose roster of clients was equally as high-profile and included Halston, Ralph Lauren, and Barbara Walters. 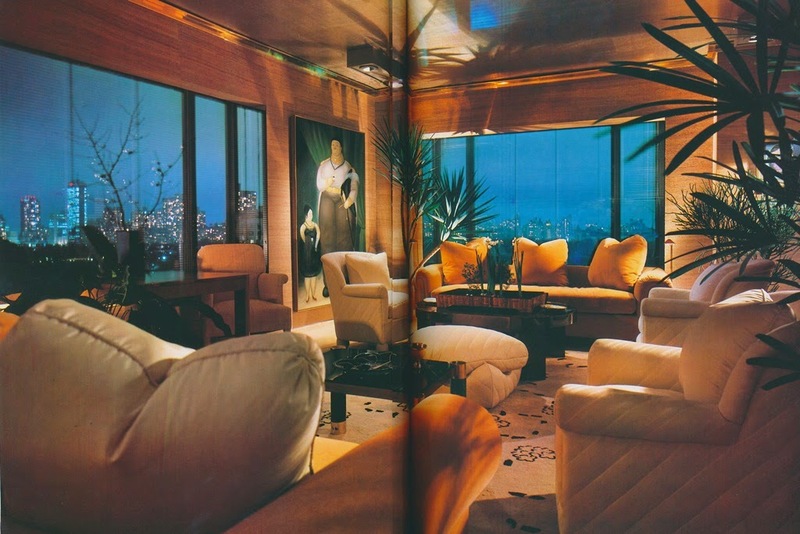 What made Donghia's work so memorable is that he managed to create contemporary interiors that, although slick-looking, were also comfortable and inviting, something which might be attributed to his use of commodious furniture and a color palette that favored warm neutrals over chilly ones. 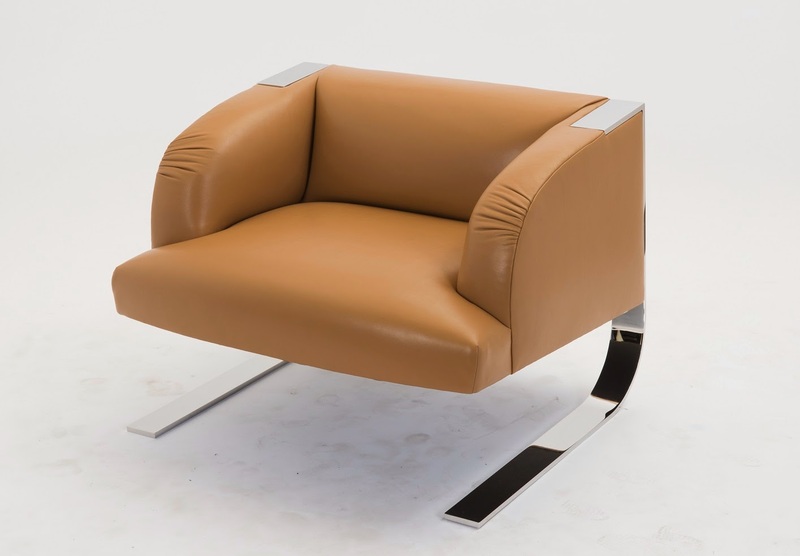 Donghia's contributions to the design industry went beyond the realm of style, though, for in addition to being a talented designer, he was also a clever businessman who expanded his design business by branching out into fabrics, furniture, and other product lines. In fact, his blue-print for design success is one that is followed by most designers today. 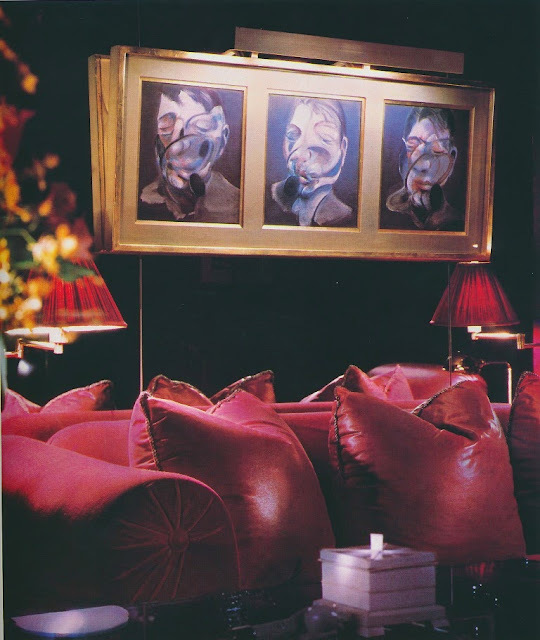 So, considering all of his accomplishments, it's only fitting that Donghia and his legacy are the subjects of an upcoming exhibit at the New York School of Interior Design. 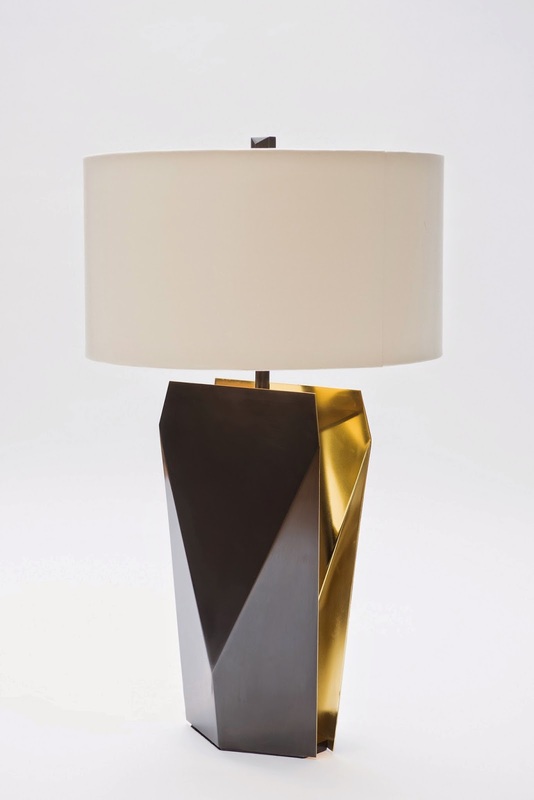 Curated by Donghia's Creative Director, Chuck Chewning, and Judith Gura, the exhibit is sure to be one of this fall's most anticipated events. 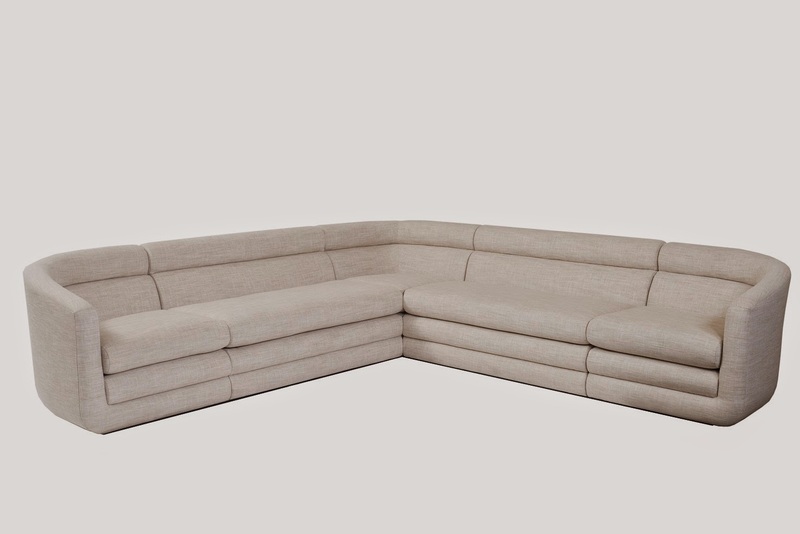 And finally, there is the new Donghia furniture collection, which feels very "Angelo Donghia" to me. 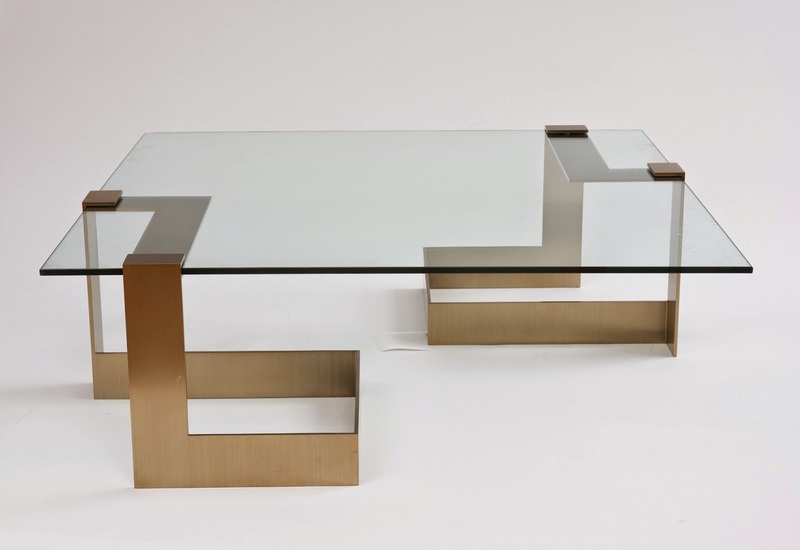 Just compare the collection's latest designs (which can be seen at the bottom of this post) to the furniture used by Angelo Donghia in his client's Manhattan apartment, circa 1981. 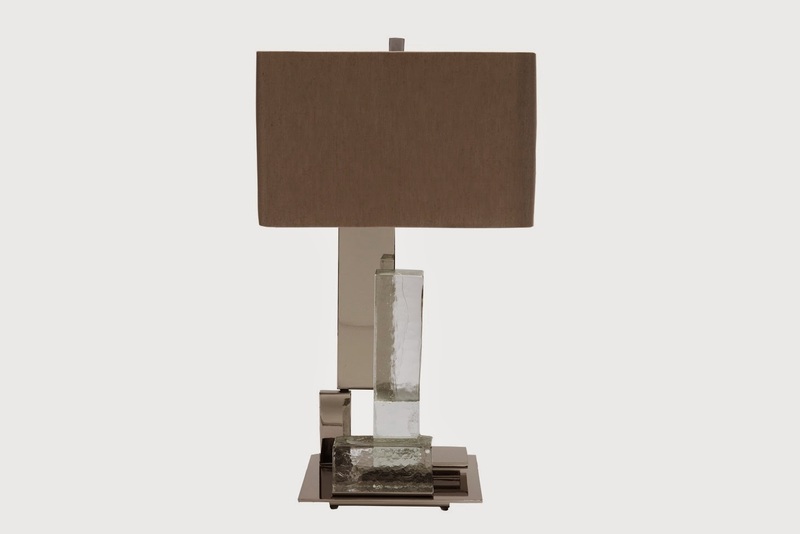 I have included photos of this home so that you can see how Donghia's style is still going strong. While the Botero paintings might look a little dated, most of the furniture has aged pretty well, especially when considered individually rather than as a whole. 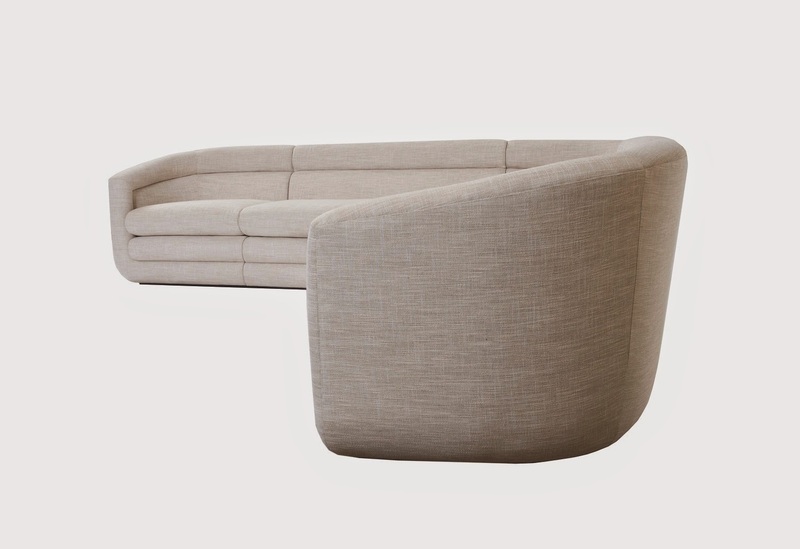 I know you had me pegged as a dyed-in-the-wool traditionalist, but I do have a soft spot in my heart for contemporary furniture- as long as it is done well. 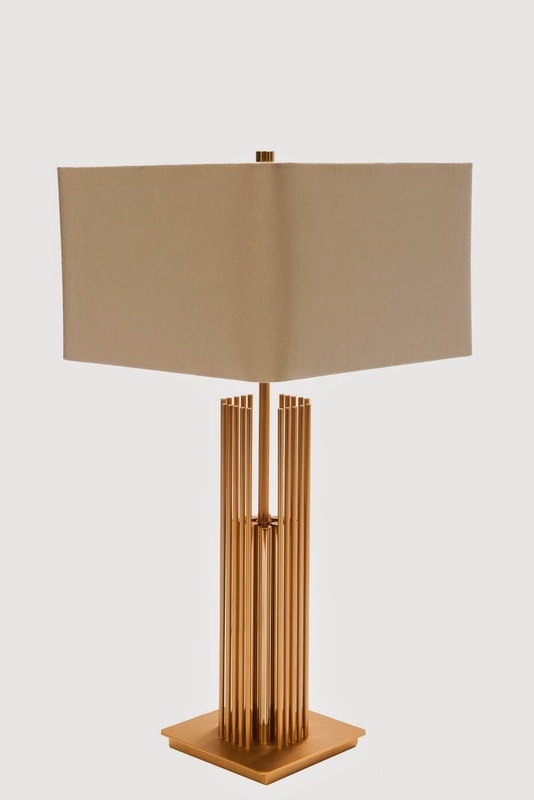 And as would expected of a company like Donghia, the new collection is done very well. Collection photos courtesy of Donghia; interior photos from Architectural Digest, August 1981, Jaime Ardiles-Arce photographer. This past weekend, I joined sixty-four fellow ICAA members (Institute of Classical Architecture and Art- Southeast Chapter) on a tour of the exceptional houses of Furlow Gatewood, who lives in Americus, Georgia. 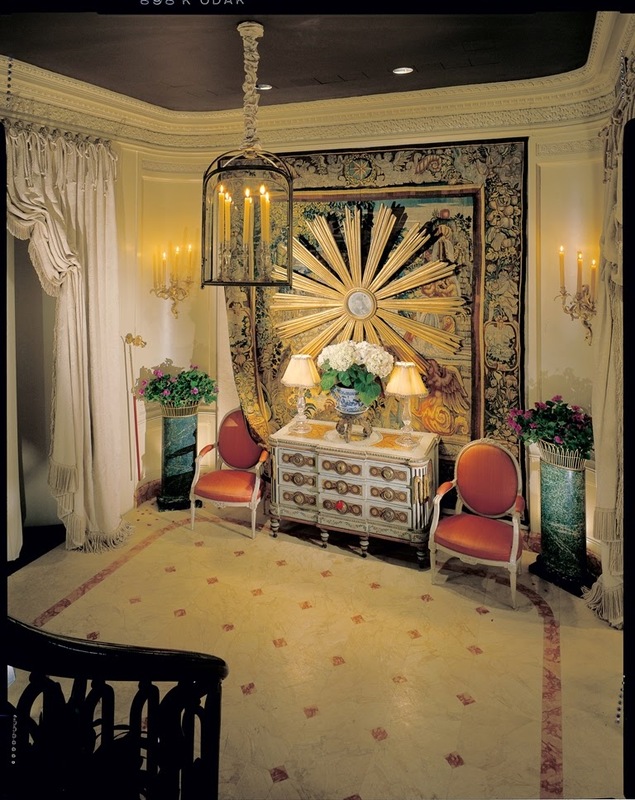 The event was the brainchild of Barry Hutner, proprietor of Parc Monceau Antiques, who spent months planning this once-in-a-lifetime opportunity. 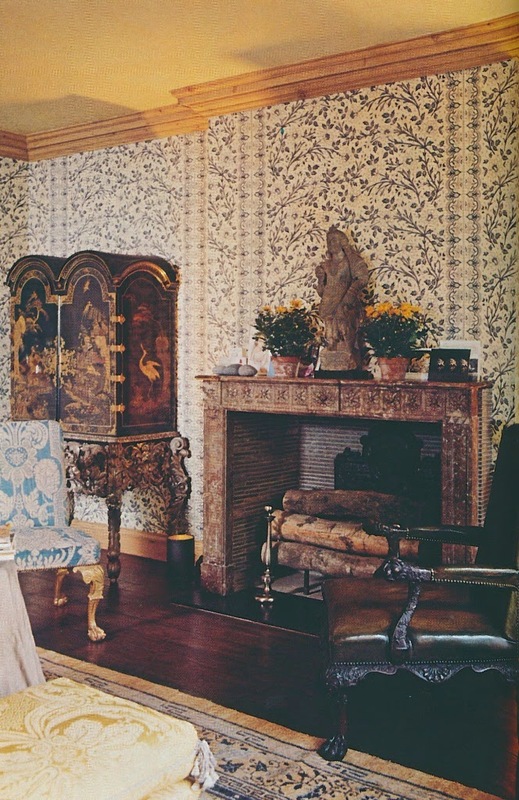 So great was the desire to see Furlow's houses that before an invitation could be sent to ICAA members, the sixty-five coveted tickets were already spoken for. Considering that these are Furlow Gatewood's houses we are talking about, this enthusiasm came as no surprise. The weekend festivities began on Friday evening, when Barry hosted a dinner for those of us on the host committee. At the dinner, both Barry and John Rosselli spoke of Furlow's remarkable life and his passion for design and collecting. Saturday brought the main event, which began in the Cuthbert House, where Furlow's famous cheese straws and Bloody Marys were served. (If you read the recently published book on Furlow's houses, then you know that the Cuthbert House is one of four houses on his property.) The next two hours were spent strolling between houses, with stops made along the way to photograph one of Furlow's many peacocks. Although this was my second visit to Furlow's, it was no less special than the first visit. 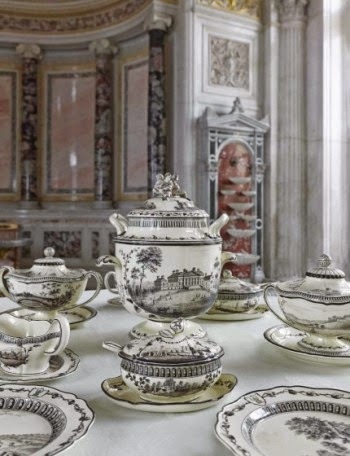 Furlow's collections are so rich and varied that a lot of time is needed to really see everything and to absorb the details in the homes' interiors. I took some photos, which I have included in this blog post, to give you a glimpse into the sublime homes of Furlow Gatewood. A big thanks to Barry and Judy Talley, Lynn Amoroso, and Barbara Shelton of ICAA- Southeast Chapter for making this special tour happen. *If you haven't already done so, you really should purchase a copy of Furlow's book, One Man's Folly: The Exceptional Houses of Furlow Gatewood. It's magical. Copies can be purchased through Barnes & Noble, Amazon , or your local bookstore. 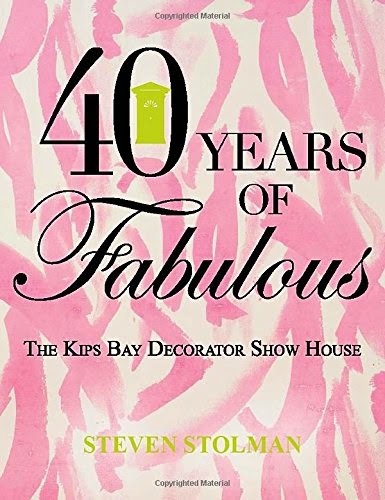 I want to bring to your attention a new book that I think many of you will enjoy: 40 Years of Fabulous: The Kips Bay Decorator Show House by Steven Stolman. 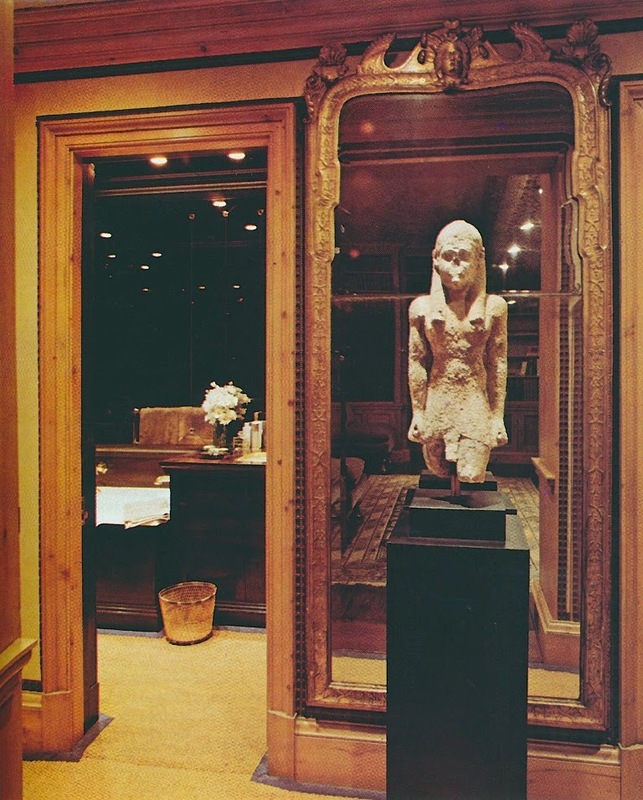 Established in 1972, the Kips Bay Decorator Show House may not be the oldest show house in the country, but it is certainly one of the most prestigious. 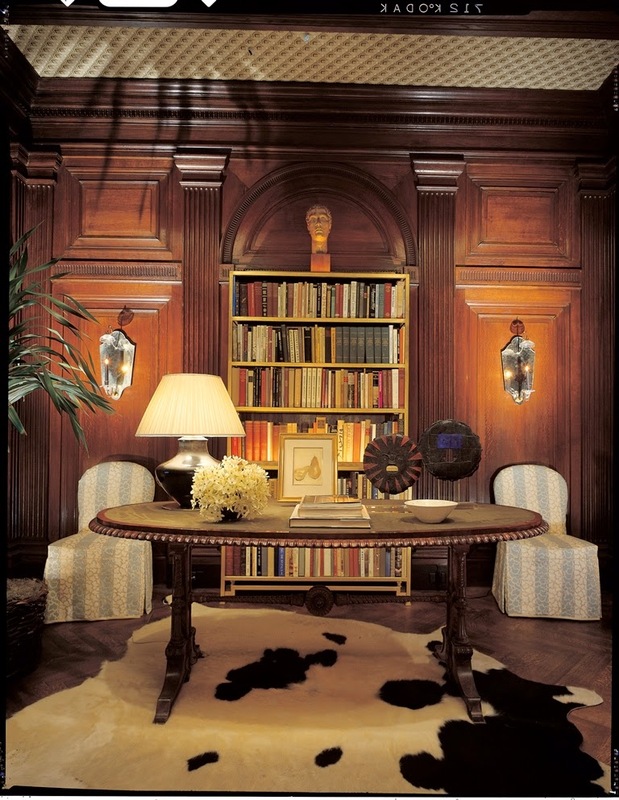 Held every Spring, Kips Bay, which benefits the Kips Bay Boys and Girls Club, always boasts a roster of America's leading designers, who work their magic in an effort to transform their show house spaces into rooms that will impress or, at the very least, get people talking. 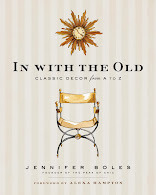 40 Years of Fabulous recounts the history of Kips Bay, taking the reader on a journey through some of the event's more memorable rooms. 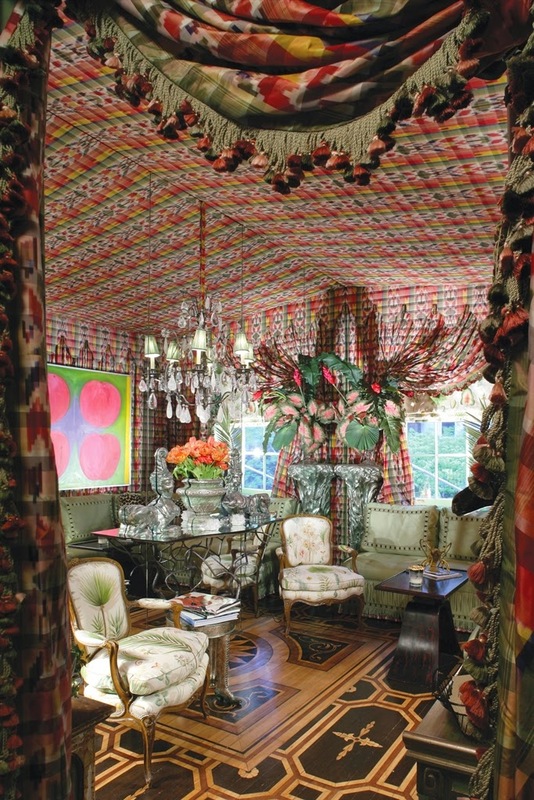 In addition to coverage of more recent show houses, the book takes a look back at the rooms conceived by such design legends as Mario Buatta, Albert Hadley, David Barrett, and Irvine and Fleming. 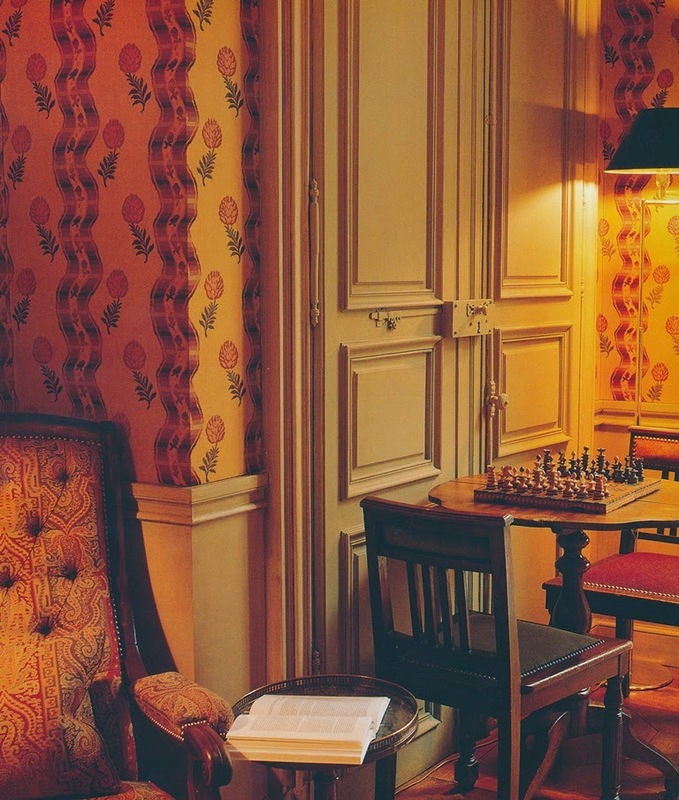 It's these way-back rooms that are sheer delights, as they represent the changes in taste over the last forty years. I would argue, though, that many of the rooms from the 1970s and 1980s still look good today. As far as the book's author goes, Steven Stolman is a worthy person to write 40 Years of Fabulous. 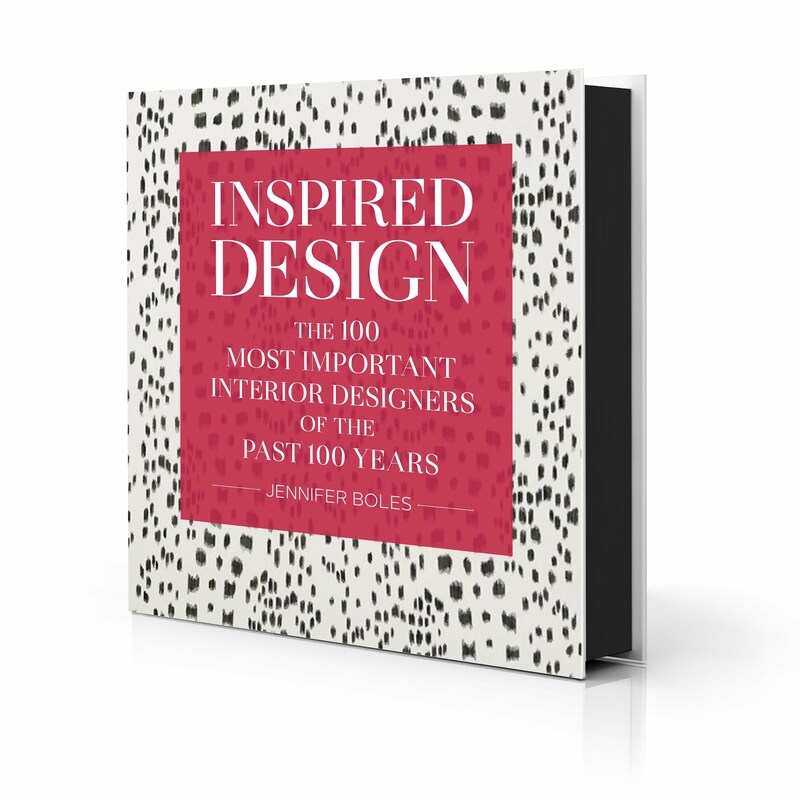 While reading this book, I could sense Stolman's unabashed enthusiasm for both Kips Bay and the important role it has played in American design history. 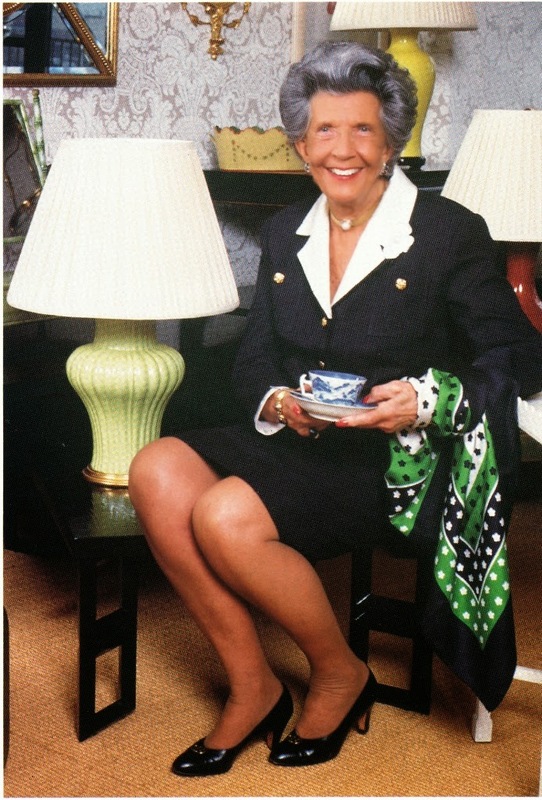 And the icing on this book's cake has to be the brief chapter on the late Rella MacDougall, who served as chairwoman of the show house for decades. Without the stewardship of MacDougall, would Kips Bay have become the vaunted tradition that it is today? *To purchase a copy of this book, please visit Amazon or Barnes & Noble. 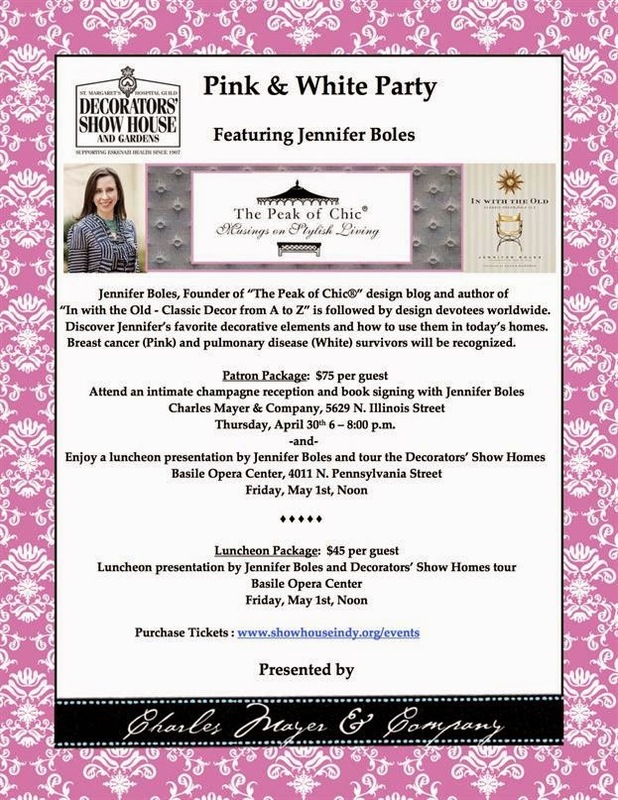 As part of this year's St. Margaret's Hospital Guild Decorators' Show House and Gardens in Indianapolis, I will be speaking at the Pink and White Party on Friday, May 1 at noon. The party will honor survivors of breast cancer (the "Pink" referred to in the party's title) and pulmonary disease (the "White"). In addition to my lecture, there will also be a tour of the Show House. Tickets for the Luncheon Package, which include a lunch presentation and tour, are $45. Or, you might prefer the Patron Package at $75, which means you will also be able to attend a Champagne reception the evening before at Charles Mayer & Company, one of Indianapolis's most stylish stores. I will be signing copies of my book at the Champagne reception. To purchase tickets or for more information, please visit the Show House website. There are few things in life I love more than rifling through fabrics at a design center showroom. I find the process of looking through all of those fabrics to be thrilling, and by the time I leave the design center, I find that my spirits are soaring. I tend to spend a lot of time flipping through wing samples, stopping when one catches my eye. When I find a textile that is particularly attractive or inspiring, I play a little game with myself in which I fantasize about how I might use that particular fabric. Perhaps I might daydream about covering a room almost entirely in one printed fabric, while other fabrics might prompt thoughts of a simple flourish or two. The only thing that sometimes brings these reveries to a screeching halt is the realization that my two bedroom apartment can only take so many fabrics. That's why I also sometimes fantasize about someone giving me carte blanche to decorate his or her home, where I can indulge my fondness for fabrics. When I was traveling recently, I spent a good two hours in the local design center, discovering new fabrics and visiting old fabric friends. But it was while looking at some truly exceptional traditional fabrics that I had a sobering thought: how long can these traditional and sometimes historical textiles survive in a world that often dismisses them as old-fashioned? One problem these fabrics face is the assumption that a furnishing that smacks of the old days is at odds with our technology-driven lifestyles. I strongly believe that few traditional fabrics look out of place in twenty-first-century homes, especially when given a modern context. The other issue is that many people know little or even nothing about these storied fabrics, which means they don't really understand what makes these fabrics special. If they know nothing about a certain fabric, how can they successfully decorate with it? Perhaps it's simply easier to dismiss something than to bother learning about it. As you can tell, this is a topic that really elevates my blood pressure. (Perhaps I need to calm myself by getting to ADAC- quickly!- to drown myself in fabrics.) I suppose that I can do my part in supporting these traditional fabrics by giving them the spotlight from time to time. 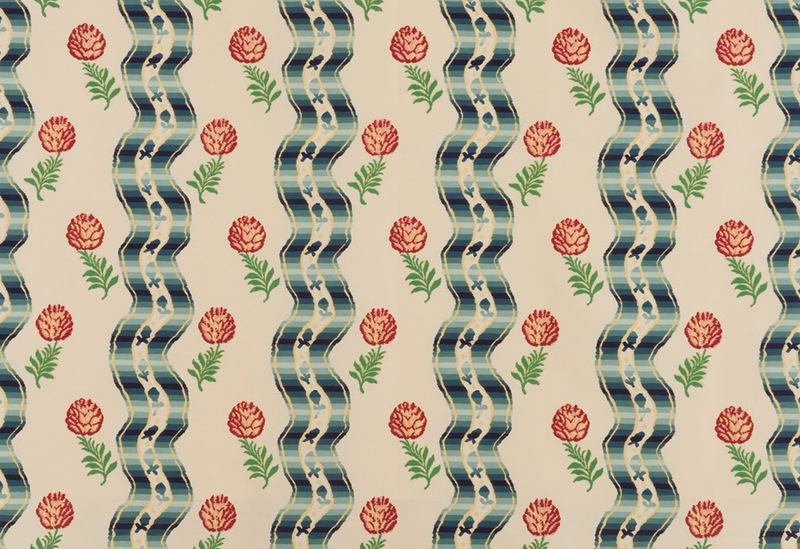 Today, I present to you a wonderful old fabric that never ceases to catch my eye: Pommes de Pin by Georges Le Manach. As I understand it, the fabric's charming pinecone-print dates back to the early 18th-century. Le Manach originally produced it as a lampas, though today it is produced on a linen and cotton fabric. Pommes de Pin might be old, but it is also grand, no matter if it's used in more traditional settings, as I have shown below, or in modern interiors, too. 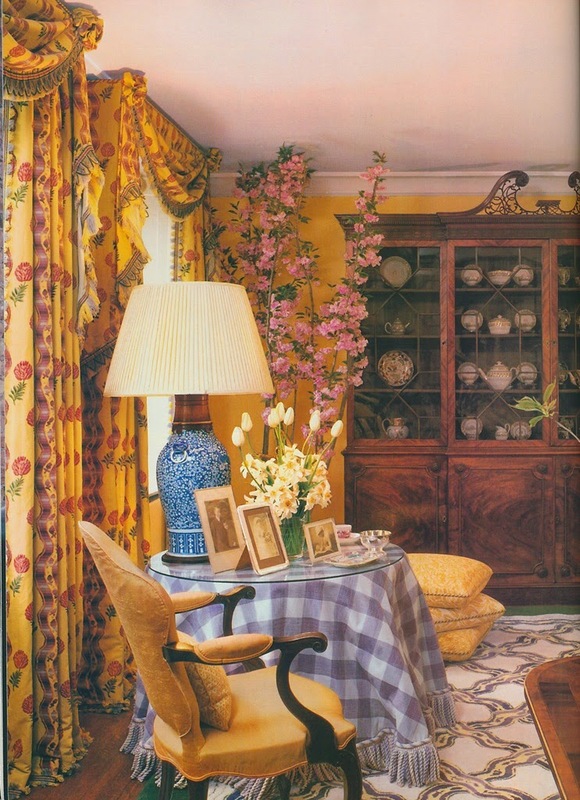 *To those of you who live in the Southeast: Le Manach fabrics can be ordered through the Jim Thompson showroom at ADAC. 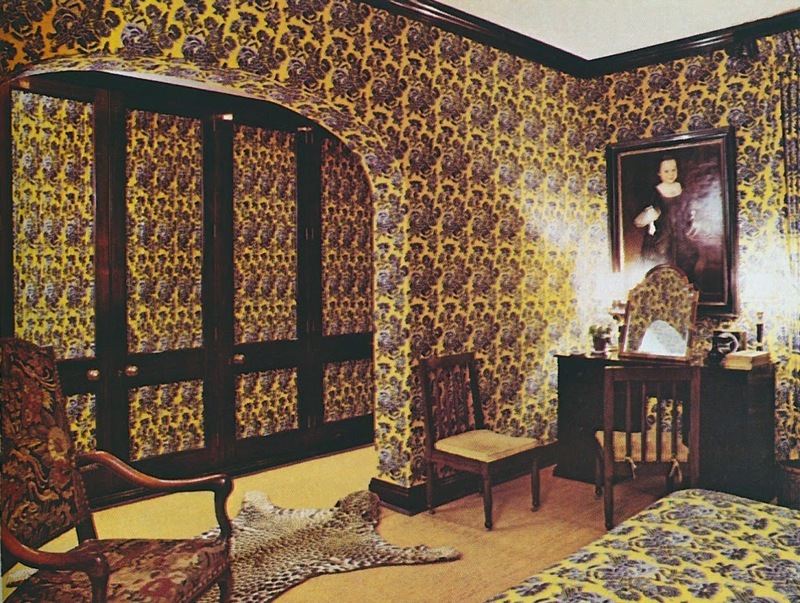 William "Billy" McCarty was once a bright young thing in the world of decorating. Hailing from Miami, McCarty's career as a designer took off in Swinging Sixties' London, where, after briefly working for the great David Hicks, he opened his own design firm and landed such high-profile clients as the Marquess of Londonderry, Kenneth Tynan, and Vidal Sassoon Salons. It was also in London where McCarty began affecting a British accent- at least, according to what I have read. 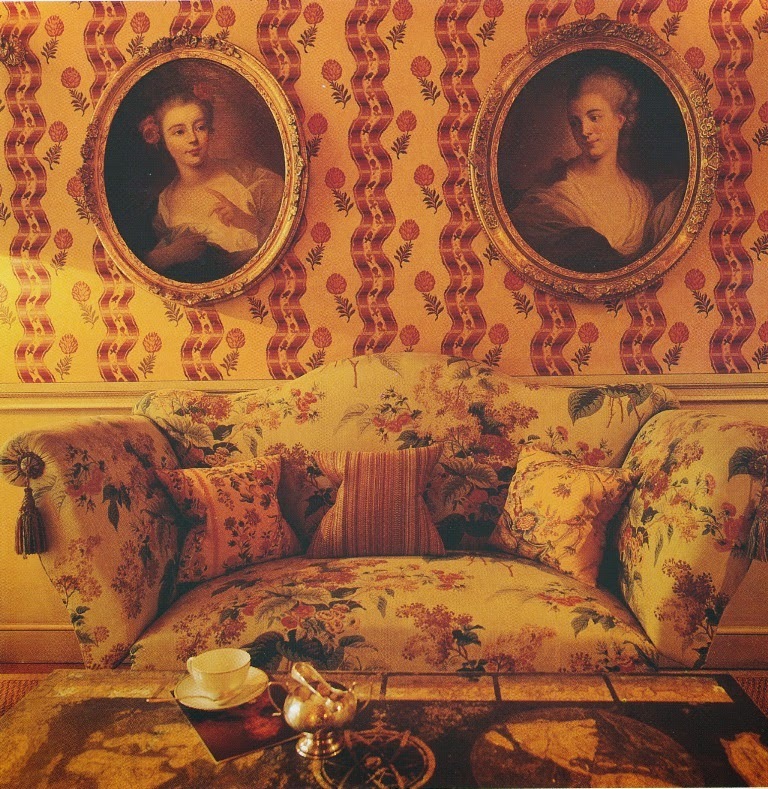 In 1971, McCarty raised his profile further- especially in America- thanks to both his first-prize win in the Burlington House Young Designer competition and his debut collection of fabrics and wallcoverings for Kirk-Brummel. 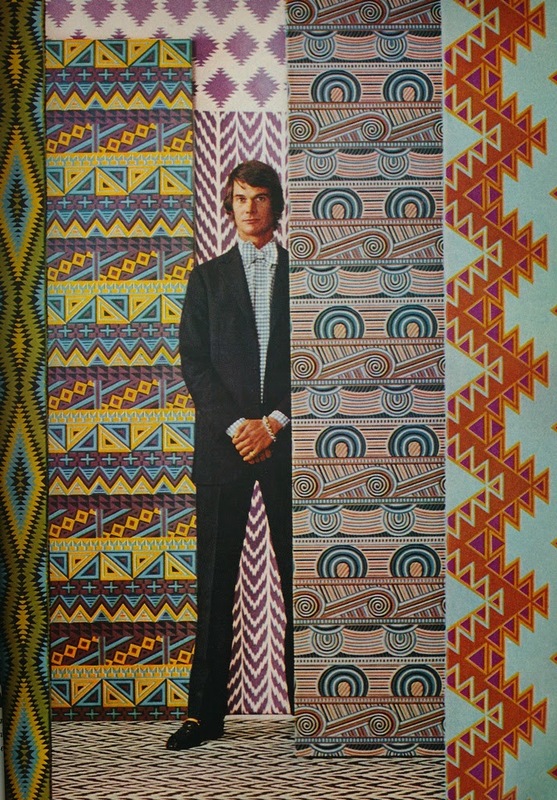 Titled "Noble Savage", the collection, which you can see above- that's McCarty standing among his designs- was a modern riff on American Indian motifs. With names such as "Hopi", "Geronimo", "Shawnee", and "Seminole", the prints were McCarty's attempt to "give people another viewpoint into Indian designs. I think one's eye has been dazzled by the super-plastic pop art thing, which is a definite chore to live with. The idea here was a softer, more fluid look." Looking at these designs forty-plus years after their debut, I'm not really sure that I would call these prints soft and fluid. However, I suppose that if one compares them to the riotous patterns that were so popular in the late Sixties and early Seventies, one could say that McCarty's designs were not quite as harsh. Whether McCarty designed subsequent collections, I'm not sure. 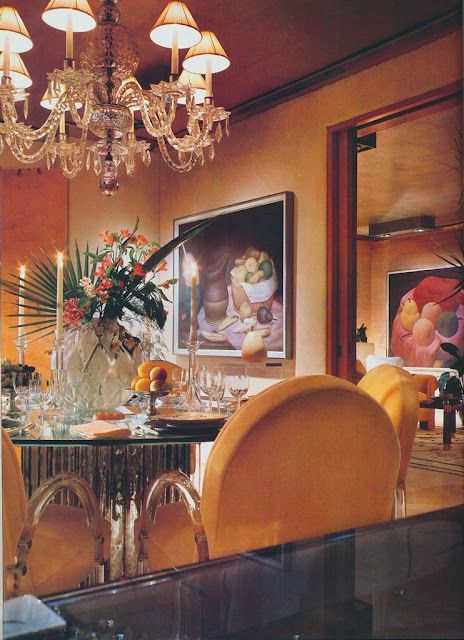 But McCarty's design work was featured often in Architectural Digest during the Seventies and Eighties. Take, for example, the London flat seen below. 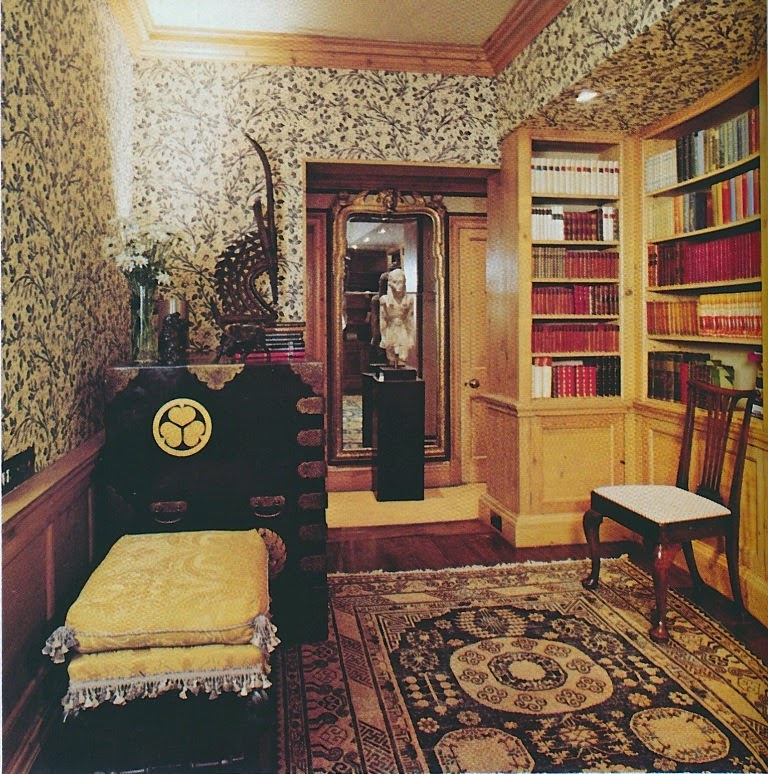 Published in 1976, the home displayed a sophistication and a maturity that refrained from appearing too serious thanks to a profusion of patterned walls and ceilings. 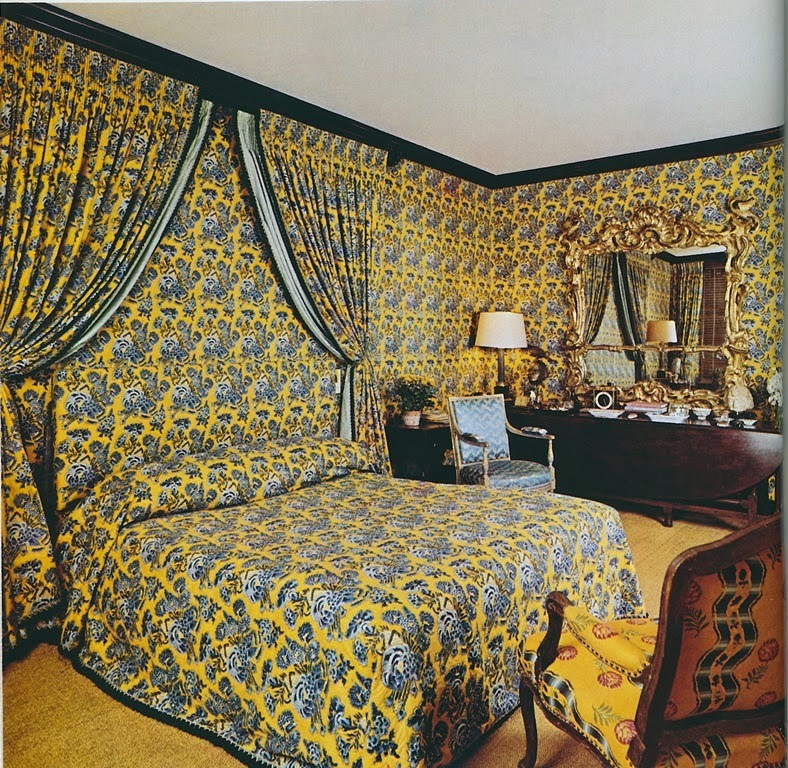 But as he did with the rest of the décor, McCarty took a disciplined approach to pattern, choosing more or less one printed fabric per room. 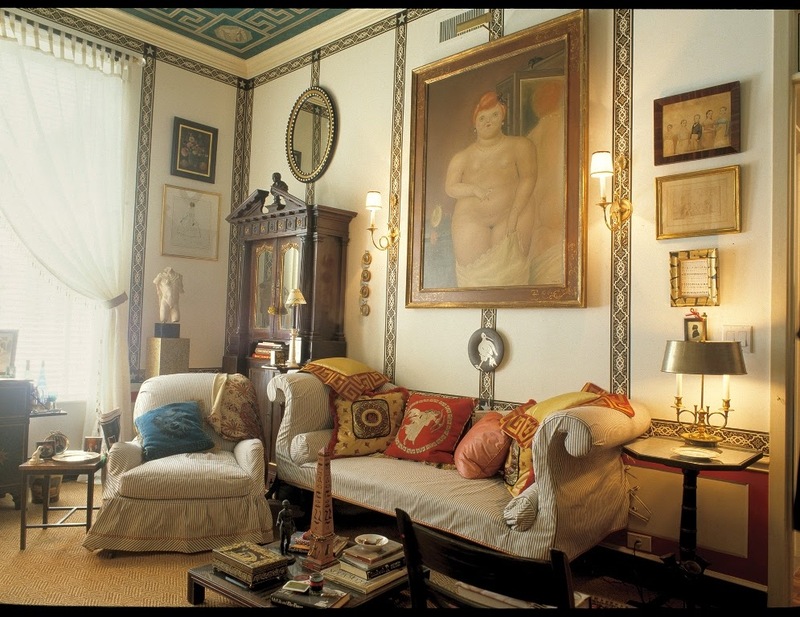 The result is a home that is spirited, yet dignified, too. As compelling as much of McCarty's work was, it was his personal life that also gained the designer attention. As a young man in London, McCarty embarked on a relationship with the wealthy art collector, Douglas Cooper, who had previously been involved with Picasso biographer John Richardson. Cooper eventually adopted McCarty as his son, a move meant to ensure that the designer would inherit Cooper's vast estate. It also resulted in the designer changing his name to Billy McCarty-Cooper. Sadly, around the time of Cooper's death in 1984, McCarty-Cooper learned that he had contracted AIDS, a disease to which the designer eventually succumbed in 1991. 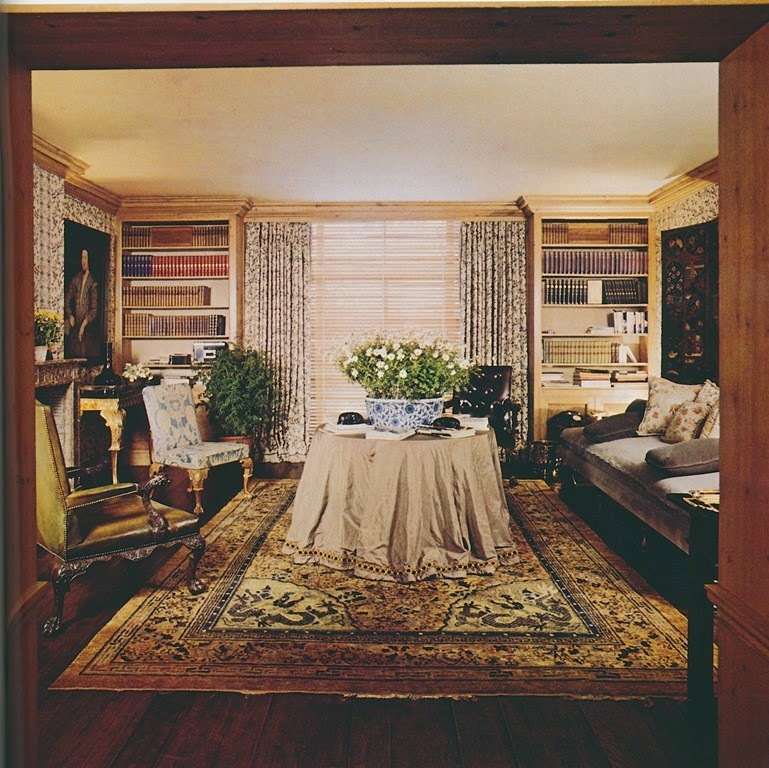 Fortunately, his work lives on, at least in the pages of decades-old issues of Architectural Digest. *Click here to see a previous blog post that features McCarty's work during his David Hicks days. 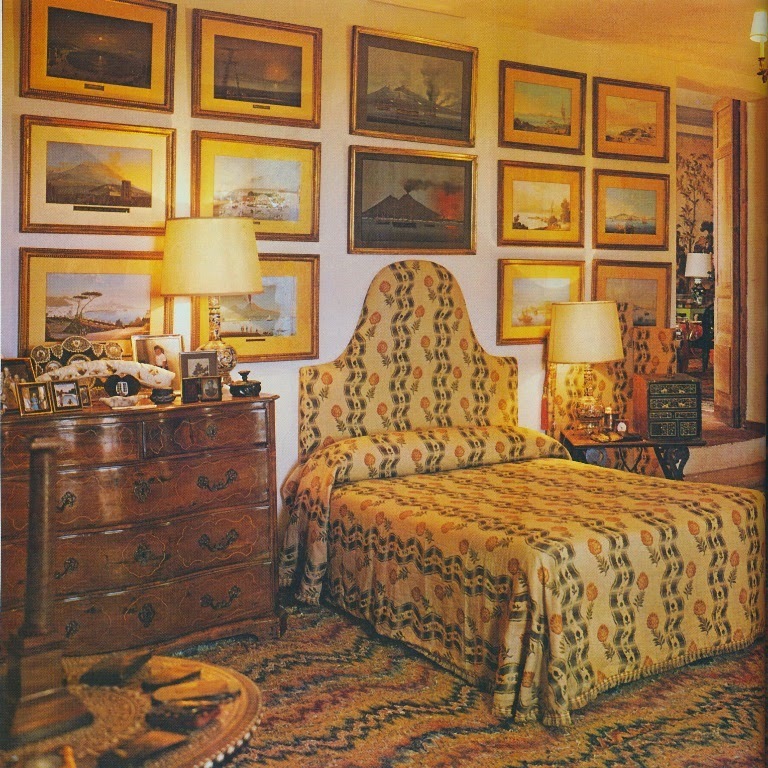 McCarty/Kirk-Brummel photo and quotation from House Beautiful, June 1971; London flat photos from Architectural Digest, March/April 1976, Michael Nicholson photographer. Passover might have ended this past weekend, but it still seems a good time to show photos of a Passover table conceived by Jonathan Preece. Jonathan, as you will recall, is Creative Director and Special Projects Designer for Bunny Williams Inc. and Bunny Williams Home. 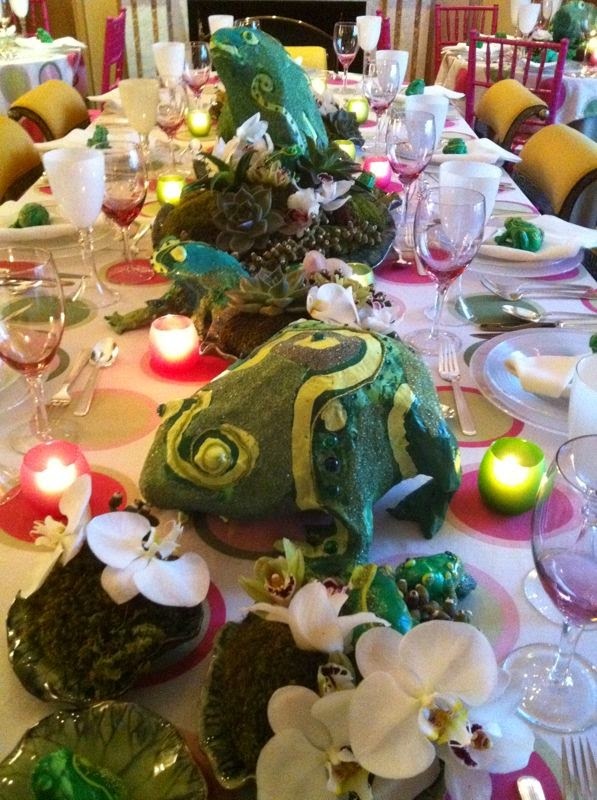 He is also the mastermind behind a number of highly-clever table settings, many of which have appeared previously on my blog. 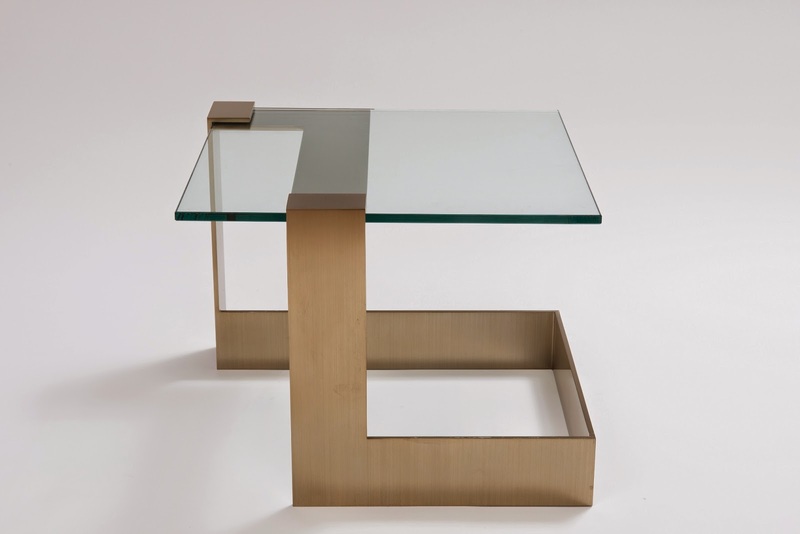 If you remember those Jonathan Preece-designed tables, then you know that Jonathan draws inspiration from history and the decorative arts, two subjects that certainly influenced the Passover table you see here. Jonathan's clients, whose Park Avenue apartment was decorated by Bunny Williams, wanted a Passover table that was colorful, unique, child-friendly, and evocative of Damien Hirst's spot paintings. Keeping in mind both the clients' wishes as well as the meaning of the holiday, Jonathan first settled on a theme for the table: the second plague of Egypt. According to the Book of Exodus, God unleashed ten plagues against Egypt as a result of the Pharaoh's refusal to free the Israelites from slavery. The second of the ten plagues involved masses of frogs that emerged from the Nile and overran Egypt. After the tenth plague, the Pharaoh finally freed the Israelites, an event which is commemorated during Passover. 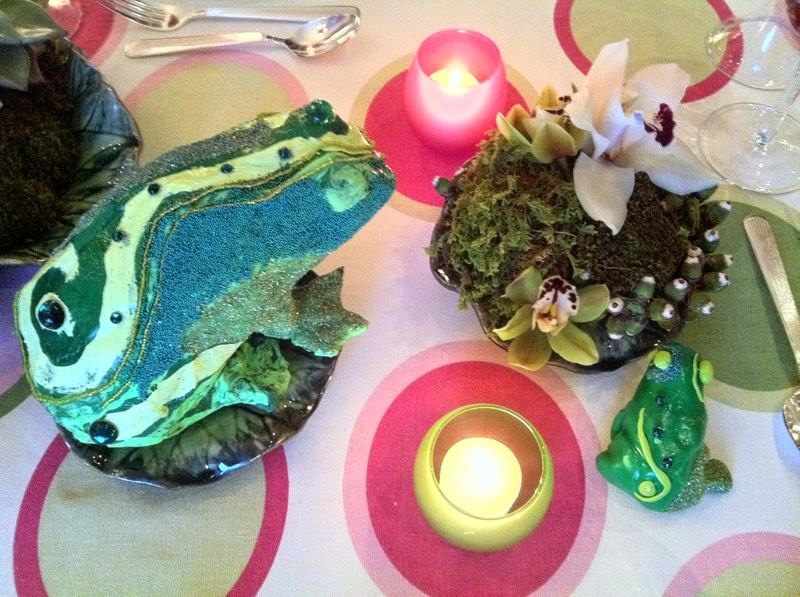 Nestled between the frogs were ceramic lily pads by Global Views, in which Jonathan planted exotic orchids, succulents, mosses, pods, and date palm seeds. 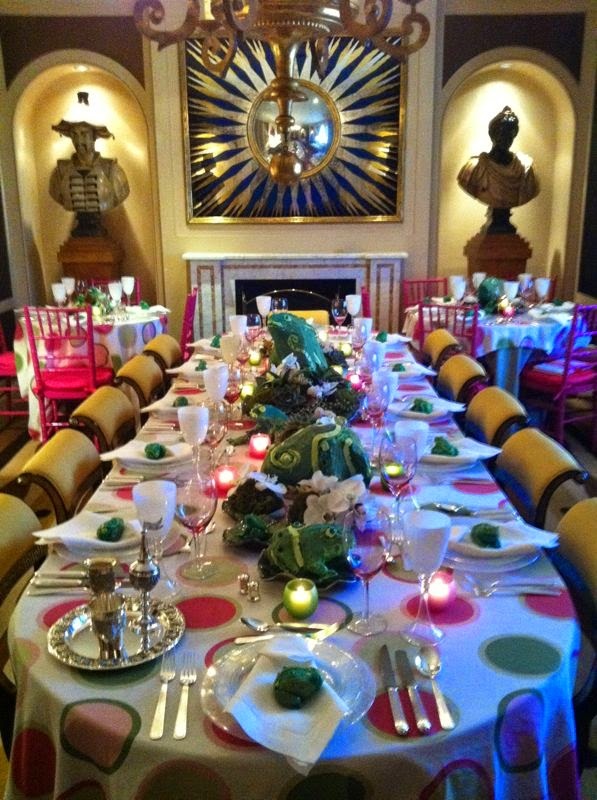 Damien Hirst's spot paintings, or, at least, the idea of them, were introduced via the polka-dot table cloths, whose colorful spots informed the color scheme of the setting, including those fuchsia ballroom-chairs. 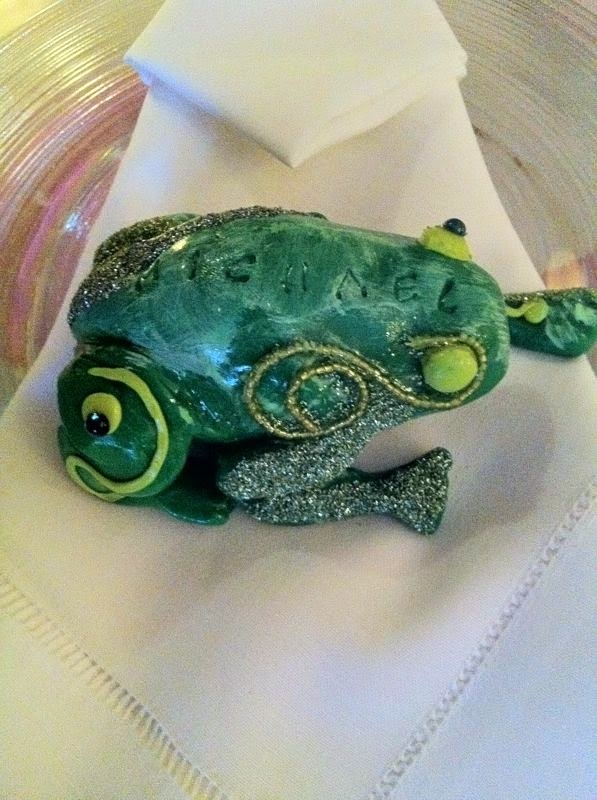 And in lieu of place cards, place settings were marked by small ceramic frogs etched with guests' names. 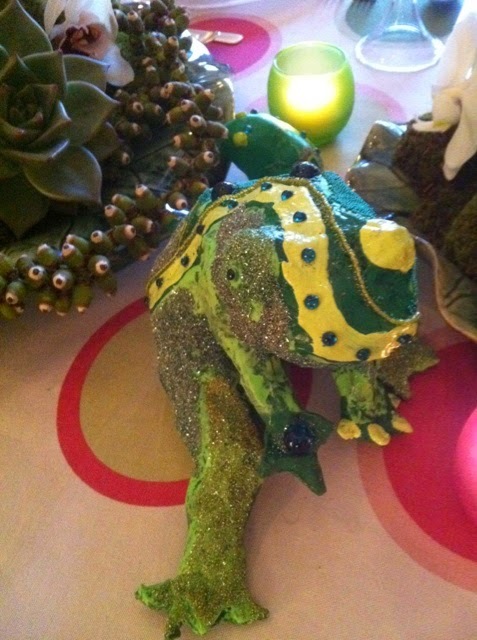 If only real frogs looked as charming as those imagined by Jonathan. 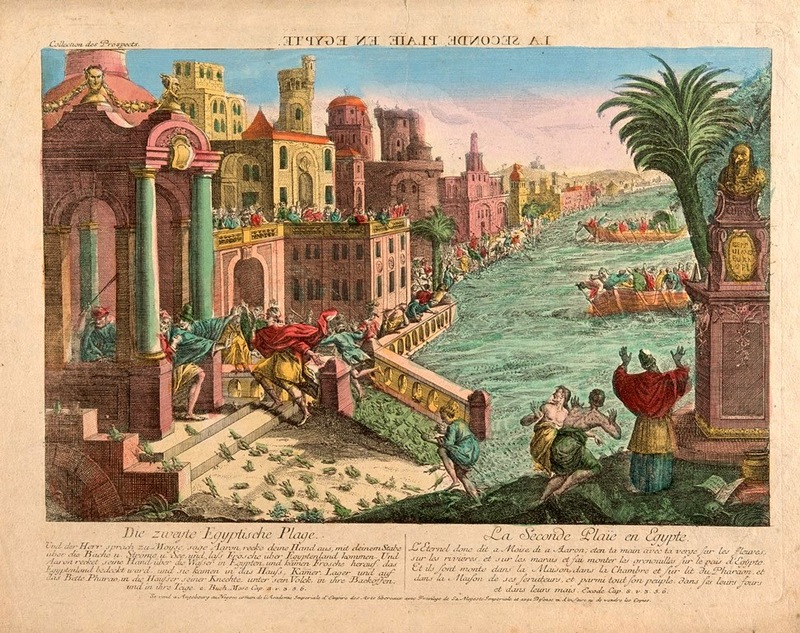 A color engraving depicting the Second Plague of Egypt. 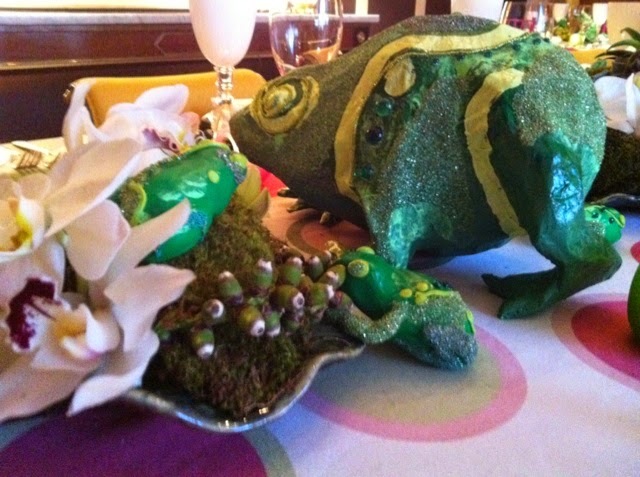 Two images of Catherine the Great's Green Frog Service. 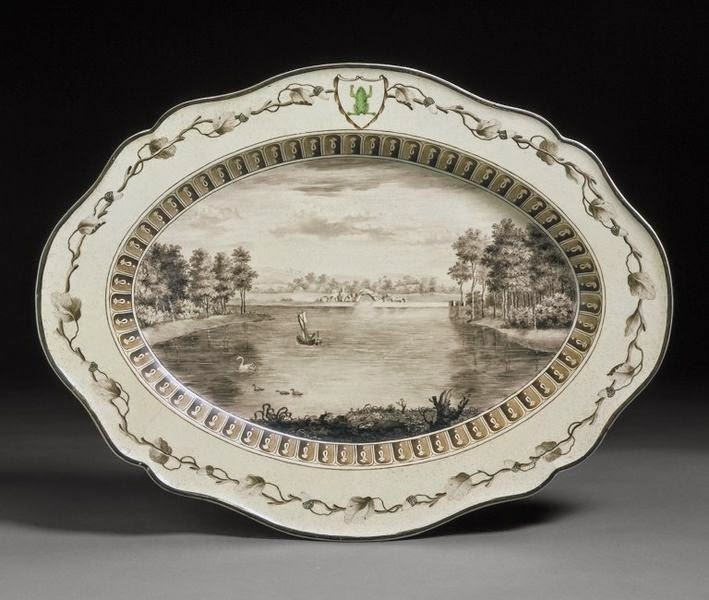 Note the frog emblem at the top of the platter. Table setting photos courtesy of Jonathan Preece.